Senior finished career undefeated against Maine competition. 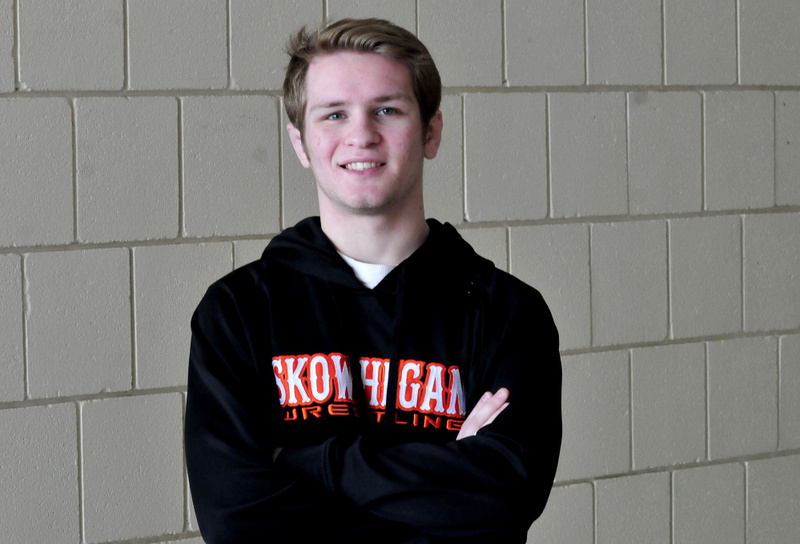 Cody Craig ended his wrestling career at Skowhegan Area High School by becoming the school’s first four-time state champion and also winning a New England Interscholastic Wrestling Championship title. For his outstanding performance, Cody Craig is the Morning Sentinel Wrestler of the Year. Staff photo by David Leaming Skowhegan senior Cody Craig is the Morning Sentinel Wrestler of the Year. For the season, Craig went 63-0 and his career statistics are even more striking. He was unbeaten in Maine, rolling up a 212-0 record against in-state competition. He had 105 career pins. Few competitors went the distance with Craig as he usually won by technical fall (15-point score differential) over those who he didn’t pin. His overall scholastic career record is 224-5, with all his losses coming at the New England tournament. He finished in second place at that tournament as a junior. Not bad for a guy who almost gave up on the sport. “When I was younger (middle school age), I was really, really bad and rarely won, and I had to watch my two brothers win all the time,” he said. Cody took a year off from competition in sixth grade, but returned a year later. “I hated seeing my brothers at tournaments winning without me. So I started up again,” he said. His success has been a product of hard work, says Skowhegan coach Brooks Thompson. Craig spent his first three high school years as a traditional student at Skowhegan. However, this year he opted for a home school program instead. Although Craig has twice been an All-American at USA Wrestling’s Nationals held in Fargo, North Dakota, he has decided to not go to the tournament this summer. Although Craig wrestled at higher weights during the regular season, each of his state titles was won at 106 pounds. “The heaviest I’ve ever been is 120 and I would like to get up to at least 130 pounds to be sizable enough for college competition,” he said. The lowest weight class in college is 125 pounds. With this in mind, Craig has decided to spend a post-grad year at The Hill School, a prep school in Pottstown, Pennsylvania. The Hill School has a strong wrestling program as well as a top-notch academic reputation.